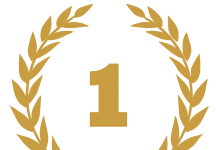 Our permanent cosmetic school works with students from all over. 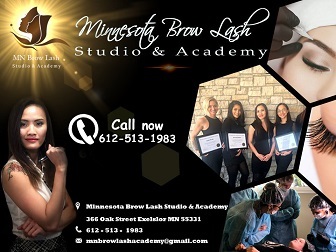 Aspiring permanent makeup artist come to the Minnesota Brow Lash Academy and Studio from Wisconsin, Iowa, North Dakota, South Dakota, Nebraska, Colorado, Missouri and beyond. 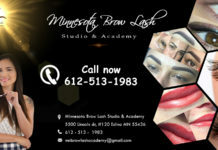 Regardless of where you come from, when you complete your permanent makeup training you will leave knowing why before and after care is as important as the microblading techniques you will be trained in. Think of it this way; when you are going to refresh a room in your home the prep work is as vital as the painting of the room itself. You need to prepare the room so that the work you do on it results in the best possible outcome. Before and after care for your permanent makeup clients is no different. Before care for microblading services starts up to three weeks prior to your client’s appointment. 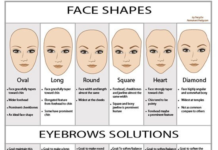 For example, we won’t do a microblading procedure on someone who has had Botox within the last three weeks. We don’t want our clients having facials within two weeks of procedures either. 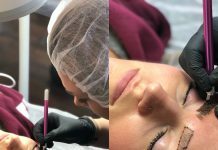 As you will come to learn in our permanent makeup classes, the reasons behind this are important to achieving the best possible outcome for your client. Your work isn’t done when the microblading or permanent makeup procedure is over. The after care is equally important. 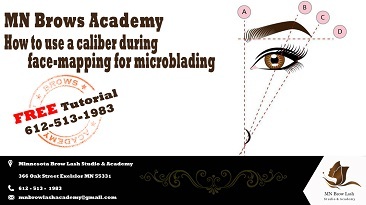 During your microblading certification training you will learn not just what activities your client needs to avoid for a short period, but also why. Having a good grasp on what constitutes before and after care as well as why it is important, will elevate your services to the highest level possible. Our permanent makeup training academy takes client before and after care seriously. Working together with your client, you will confidently lead them through all of their services knowing that because you both took the time, your client will have a positive experience and a beautiful result.